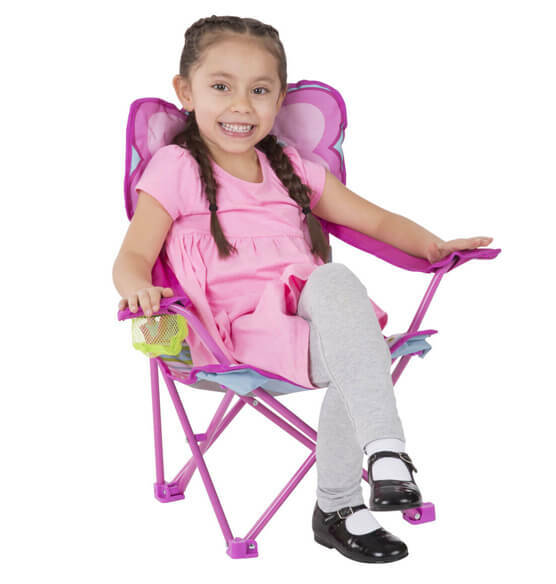 Your child will be "sitting pretty" with Cutie Pie in this delightful Melissa & Doug® Personalized Cutie Pie Butterfly Camping Chair with its brightly colored fabric and sturdy metal frame. 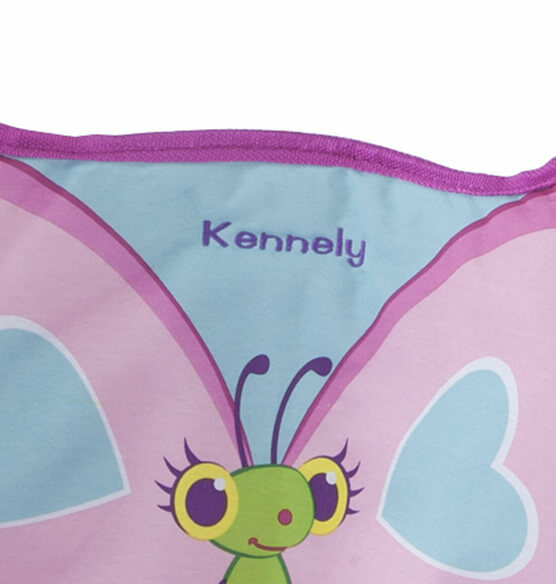 It also has a handy cup holder positioned at your child's fingertips! 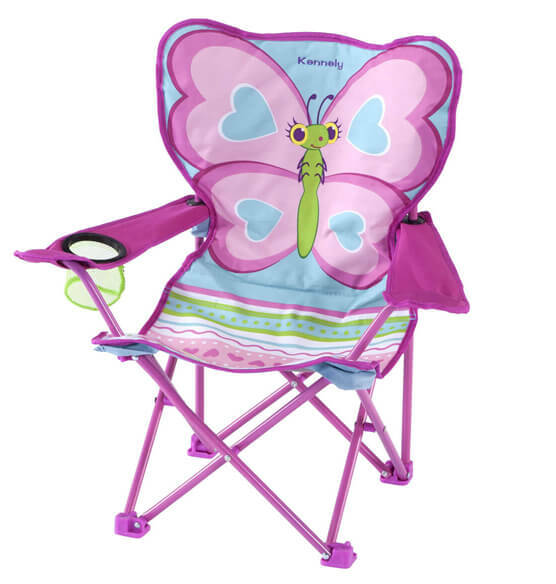 Durable and water resistant fabric and a convenient storage bag make this portable chair perfect for trips to the beach, the park, the campground, or anywhere your child's imagination may lead! Express shipping not available. Please allow 2-3 weeks for delivery.